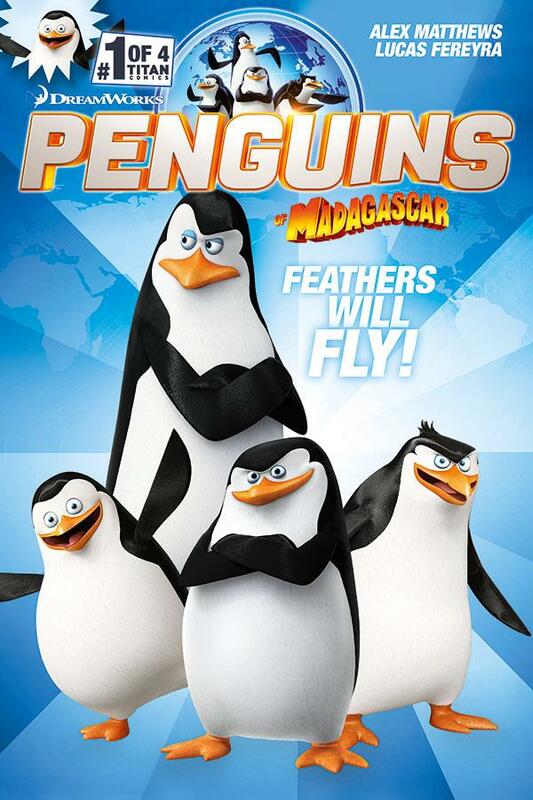 In anticipation of the upcoming Penguins of Madagascar animated film, we present… a tie-in comic book miniseries! (Bet that shocked ya, huh?) “DreamWorks Animations’ Penguins of Madagascar are getting their own brand new 4-issue comic series! Yep, Skipper, Kowalski, Rico and Private are jumping from the big screen to the comic page! Written by comedy genius Alex Matthews (Phoenix, Dandy) with eye-popping art from Lucas Fereyra, feathers are set to fly in this unique and exciting – and very funny – new series.” You might recall there was previously a Penguins tie-in comic based on their Nickelodeon TV series, but that was published by Kizoic Comics and featured a completely different creative team. This one is published by Titan Comics, and it’s coming to stores this November.